Different types of hernia mesh are used to treat patients who have suffered a hernia in order to prevent the injury from reoccurring. 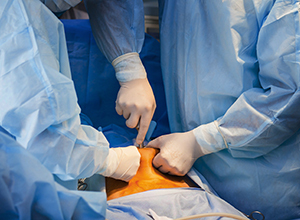 Depending on the type of hernia, as well as the kind of mesh utilized, this treatment may have a high rate of complications for certain patients. Hernia mesh patches and plugs have been linked to significant injuries, with many kinds being recalled and banned nationwide. The Boston hernia mesh attorneys at the Naumes Law Group assist victims who have suffered harm because of these products with taking proper legal action against the responsible parties. We strive to ensure that each of our clients receives individualized legal representation, based on their interests and goals in litigation. If you need legal assistance following a complication after a hernia surgery, contact our product liability lawyers today. Many times, the solution to these complications involves additional surgery and a long recovery period. Patients who suffer this additional harm may pursue action against a liable manufacturer in an effort to be reimbursed for damages associated with their injuries. Our hernia mesh lawyers can help Boston patients and others bring these types of claims. Sometimes, manufacturers release products in commerce that are not properly tested or that contain a higher risk of harm to consumers than is reasonably acceptable. When injuries result from these practices, a manufacturer may be held liable for the harm that they caused. All medical device manufacturers are required to provide products that are reasonably safe for use. Many hernia mesh products have been recalled due to their high risk of complications. From 2005 to 2007, three different versions of hernia mesh were found to cause bowel perforations and intestinal injuries because of a defective memory recoil ring that was susceptible to breaking. If a product’s overall design is flawed in such a way that it creates a hazard for people who use it, the product suffers from a design defect. Mesh patches or plugs that break off in an individual’s body may be subject to a design defect for which a manufacturer needs to be held accountable. Furthermore, if a manufacturer knows of a risk associated with its product but fails to disclose that risk to consumers, it also is responsible for the harm that results. Patients injured by a defective device may be entitled to compensation for associated past and future medical expenses, as well as lost income, and, depending on the extent of their injuries, they also may receive pain and suffering damages. If you or someone you love has been injured by a defective hernia mesh product, the Boston hernia mesh lawyers at the Naumes Law Group can help you determine your next legal steps. Our firm assists victims in Springfield, Worcester, Waltham, Watertown, Hyannis, Malden, Medford, Taunton, Peabody, Braintree, Weymouth, Quincy, Pittsfield, and Plymouth, as well as other communities in Suffolk, Middlesex, Barnstable, Berkshire, Bristol, Essex, Franklin, Hampden, Hampshire, Norfolk, Plymouth, and Worcester Counties. Contact our office at 844-826-8445 or locally at 618-227-8444, or contact us online, for a free appointment with an injury attorney.